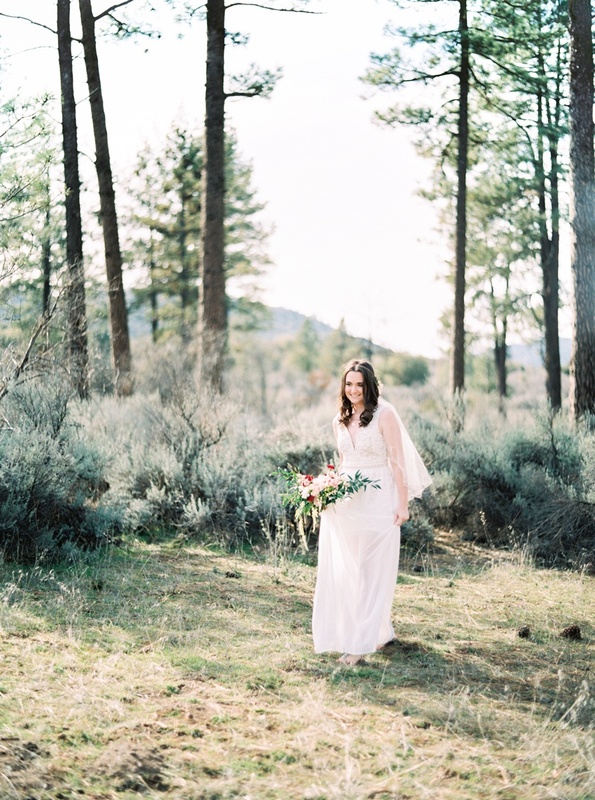 A styled bridal session in the mountains near Idyllwild, California. Emily Pine of The Fern and Flower (http://www.thefernandflower.com) styled this shoot and did the florals for it as well. I always enjoy teaming up with her! Our model is a hair stylist as well and did a great job. I really enjoyed the uniqueness of the table set up too - the calligraphy on bright green leaves and the blue, white, silver and gold accents.